Celebrating the life of Garland W. Austin, Sr.
Be the first to share your favorite memory, photo or story of Garland. This memorial page is dedicated for family, friends and future generations to celebrate the life of their loved one. 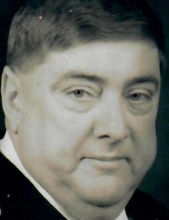 Obituary for Garland W. Austin, Sr.
Garland W. Austin, Sr., 59, of West Frankfort, Illinois, passed away Monday March 18, 2019 in Franklin Hospital – Benton, Illinois at 1:59p.m. Garland was born November 17, 1959 in Herrin, Illinois to Cyril and Phyllis Jean (Bradley) Austin. He was a loving father and grandfather. He loved his family. Garland loved playing his guitar. In his younger years, Garland was a machine operator at Allen's and was currently a dietician for Helia Healthcare. Garland is survived by his son, Garland Austin, Jr.; daughters: Amanda Burns and Heather Austin; brothers: George L. Austin, Tom (Allison) Austin, and John M. (Elizabeth) Austin; sister, Gail Marie Austin; grandson, Dalton Tyler Austin; friend, Anita Brown. Funeral services will be held at 11:00a.m. Friday March 22, 2019 in Union Funeral Home – West Frankfort, Illinois with Dr. Brett Beasley officiating. Burial will be in Denning Cemetery - West Frankfort, Illinois. Visitation will held Thursday March 21, 2019 at the funeral home from 5:00-8:00p.m. To send flowers or a remembrance gift to the family of Garland W. Austin, Sr., please visit our Tribute Store. "Email Address" would like to share the life celebration of Garland W. Austin, Sr.. Click on the "link" to go to share a favorite memory or leave a condolence message for the family.